There are fewer and fewer places in Los Angeles you can actually refer to as “hidden gems”. Everyone is an eats excavator these days and with online food maps, hundreds of local review sites and basically a massive magnified glass over this city it’s hard not to know when to turn off the main road and gorge. 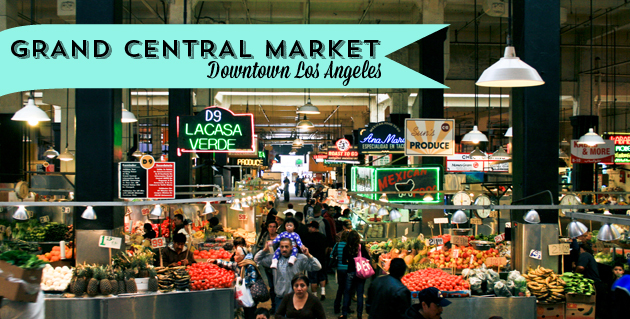 Where a lot of people do know about The Grand Central Market downtown, there are surprisingly a lot more people who haven’t got a clue what you’re talking about. Which is surprising since it’s one of the most amazing food-bonanzas in the city! A bustling culinary space since 1917, the market is going through somewhat of a renaissance these days with new vendors popping up offering different kinds exciting food and pulling in a more diverse crowd. From slaw covered pupusas and sweet Thai sticky rice to gourmet popsicles and salted caramel croissants – this place has everything you’re craving .. plus a lot more than you even realized you were. Think of it as a progressive meal around the world – In other words: come hungry. When I was asked to test drive the Tastemade Video App, Grand Central Market was the first place I thought of. With so many awesome eatery stalls, a produce market and a spice station – it seemed like a visual gold mine for this kind of short format video making on the go. This app is ridiculously easy. With music, graphics and a edit guide already embedded into the system, it’s hard not to come out with a minute of food show excellence. I’m more accustomed to the “old fashioned’ pre-smart phone kind of video making… You know where tripods, color-timing and final cut pro come into the mix. But I must admit, this was an effortless, fun and quite possibly addictive experience. What I really love most about this app is the ability to follow and watch other people’s food videos from around the world. London, Australia…even South Africa – it’s fascinating to see people show off the places they love. So if you see me running around town talking to myself at my phone – I’m not coo-coo, I’m just Taste-mading around. 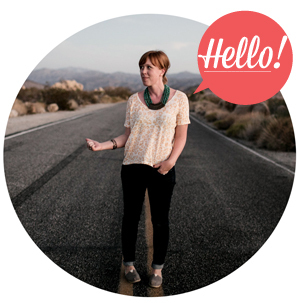 Are you ready to start your own online show? Go download the app now! Check out these tips and tricks to get you started like a pro. A little note: This is by no means a sponsored post. This is, however, one whip smart video app everyone should be adding to their smart phone arsenal. Opinions my own yo!